I read recently that there are more chickens than there are birds of all other 10,000 species of birds combined. That is a lot of chickens. I suppose it explains why virtually every article I find in scholarly journals relating to disease and pathology in birds concerns chickens. Of the very few studies that do not consider chickens, the vast majority are about turkeys. I was delighted to find a recent study of avian diseases that was about wild birds. There is no doubt that the viruses responsible for avian influenza are a major concern. They have the potential to devastate poultry production (again, chickens! ), and represent a serious potential threat to human health. Wild birds may play a role in the transmission and dispersion of avian influenza viruses to chickens and human populations, and may provide an opportunity for the evolution of viral agents. Anything that we can learn about avian influenza in wild birds may help us to combat future outbreaks. Migrating birds are a special concern. Infected individuals might move diseases over vast distances. Luckily, birds migrating in the world’s Eastern and Western hemispheres tend to remain separate, limiting their potential to cause a global epidemic. There is, however, an exception. There are spots in the high Arctic where birds that winter in different hemispheres come together to breed in very large numbers. Northeastern Greenland is one such place. Tens of thousands of breeding Barnacle and Pink-footed Geese congregate in this region, where they are joined by migratory gulls, terns, waders and ducks of at least eighteen species. These birds have the potential to spread avian influenza viruses between Europe, Africa and North America. Furthermore, it has been suggested that in the cold of the far north, viruses excreted by breeding birds one year may survive to infect birds the following year. 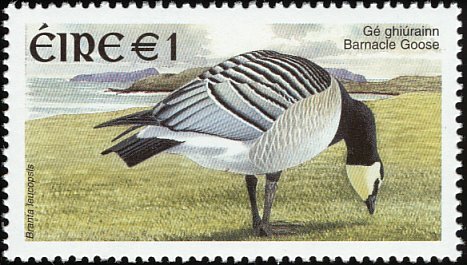 French researcher Nicolas Gaidet and his colleagues visited Greenland’s Jameson Land, which they described as “a vast tundra area with scattered lakes.” They collected three hundred samples of fresh goose feces, and 28 feather samples from geese that were found in large flocks. Water samples were also taken from lakes that were home to breeding geese. Those samples were subjected to genetic analysis designed to detect avian influenza viruses. Gaidet, N., I. Leclercq, C. Batéjat, Q. Grassin, T. Daufresne, and J.-C. Manuguerra. 2018. 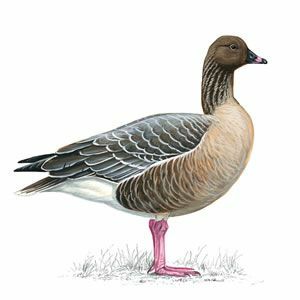 Avian influenza virus surveillance in High Arctic breeding geese, Greenland. Avian Diseases 62:237-240. Visit en.wikipedia.org/wiki/Glen_Chilton to learn more about Glen. Visit https://www.facebook.com/fallingdownthethames/ to learn more of Glen's and Krista's exciting adventure, paddling the entire length of the Thames River, England, from source to sea. Copyright © 2019 Glen Chilton. All Rights Reserved.